Food trends are an interesting thing to watch, how a flavour or a particular pairing can become all the rage and be everywhere you turn, and then be passe by year’s end. Not being all that trendy myself, I am usually a few years behind. The popularity of bacon in sweet foods still has me squirming slightly, as I am not quite ready to accept bacon as a legitimate presence at the dessert table. I’ve tried it in chocolate, but I am just not quite sold. I don’t dare dismiss it entirely, however, as I’ve been known to capitulate on these sorts of things. Just as I did with another pairing that horrified me at first: chocolate and chili. Now I can’t seem to get enough of it. I first tasted chocolate and chili together about ten years ago, before it became a real trend. It was up in Bar Harbor, ME, at a little burrito joint that my sister-in-law loved. The only sweets available were Jalapeno Brownies, and I wasn’t about to pass up dessert just because someone had the gall to put jalapenos in it. I remember being surprised and delighted by the combination of sweet followed by a kick of heat. Within a few years, it had become a full-on trend and chocolate bars with chili were everywhere; my local Trader Joe’s carried at least three different kinds. But by the very next year, it seemed to have fallen out of favour, and I could no longer find them so readily. I, however, have stayed in love with the pairing and have long been planning to make a chili-flavoured brownie. In one of my many internet searches, I came across a few recipes for brownies flavoured with cinnamon chipotle and I knew I needed to try to create a low carb version. I actually tried it during the fall, with a coconut flour brownie recipe that was an utter failure. And by that, I don’t mean that they weren’t very good, I mean that they weren’t ANY good. Tossed the whole lot of them. But I wasn’t about to give up. 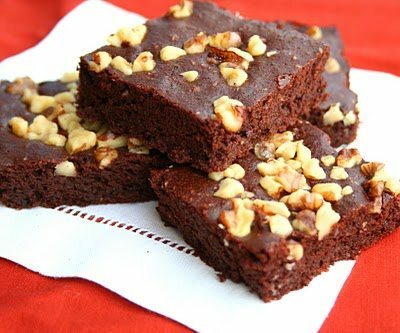 I came across an almond flour brownie recipe on the Bob’s Red Mill site the other day and I thought it might be a good candidate for my second attempt. The Results: Chipotle is made for chocolate, with its smoky intensity. You only taste sweet at first, like a regular brownie, but then you begin to feel that slow burn of heat. It’s a winning combination. The cinnamon doesn’t stand out much but it complements both the chocolate and the chipotle, so I think something would be missing if it wasn’t there. The texture of these brownies is more cakey than I’d hoped, but it’s still really, really good. I don’t know if erythritol allows for truly fudgey brownies, but I am on a mission to find out and will be sure to let you all know if I do. But I’d make these brownies again just as they were, I really enjoyed every bite. Preheat oven to 350F and grease an 8×8 inch baking pan. In a small bowl, whisk together almond flour, cinnamon, chipotle, baking powder and salt. Combine butter and cocoa powder in a medium bowl and stir until thoroughly combined. Add eggs, erythritol, cream and vanilla, and beat until smooth. Add almond flour mixture and stir until thoroughly combined. Spread batter evenly in prepared pan and top with walnuts. Bake 18-24 minutes or until edges are browned and top is firm to the touch. Let cool in pan, then cut into squares. Serves 16. Each brownie has a total of 6.4g of carbs, but only 3.4g if you subtract erythritol. 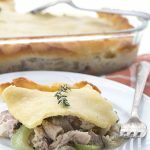 Yum- love the flavors in this! I've never been a fan of sweet and savoury but those pictures are really enticing! 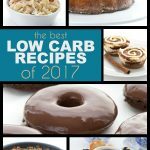 All low carb too? Wow!! I am not and have never been a trendsetter or one to follow trends. "When the mood strikes" kinda girl. I have yet to try anything with chocolate and chili. I have however been all about the bacon in sweets, although, I'm not so sure about the bacon cookies I've recently sampled. These brownies sound so delicious! My achilles heel… the pan would be gone! Living so close to the Mexican border, I have seen chocolate mixed with chiles often. It's nothing new to that cuisine. I am with you on the bacon in sweets…I am not tempted to even try it. Great combination – can't agree with you more about that…can I have some please? Wow, chipotle powder, I have never used that, but have used the peppers. I bet this has a nice hot and sweet kick to it! Chocolate and chilies are one of my favorite combos. I love this idea. Thanks! "I wasn't about to pass up dessert just because someone had the gall to put jalapeños in it." Too funny. My attitude exactly. 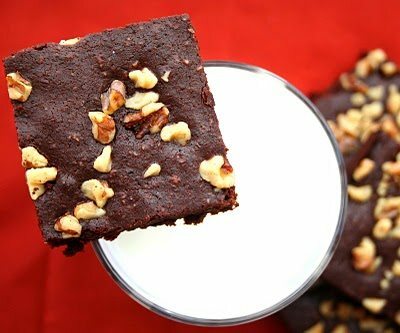 I love the added kick in these brownies! this sounds really exciting 🙂 and your pictures looks so pretty. thank you for sharing this with us. Chocolate and hot spices – sounds like a devlish combination! A combination of chocolate and chipotle is just fascinating. Those look picture perfect! Just lovely. Thanks so much for the recipe – these really look fantastic. Such an interesting combination for a brownie! Definitely going to try this soon! I've never tried chocolate and chili together, I missed the whole trend! I have tried caramel popcorn with cayenne and love the sweet and hot together, so I think I'd love this! Tasty & spiced up bars!! Yummie! Chocolate and Chili? That sounds fabulous. This is a must try. 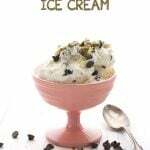 Thanks for sharing it on Food Frenzy. 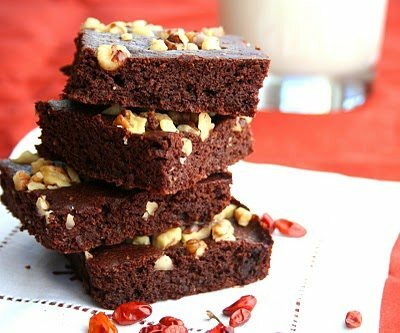 Very unusual brownies-Love the chipotle spice, and the chocolate goodness mixed together. Yumm!…could you pass me a brownie please? I've never had chocolate and chili combo, going to have to give these a try! Great job!! I bet it's just as delicious as it looks. I love spicy chocolate bars, it's a great combination. And cinnamon? It's my fave spice ever! Oh yum, these sound fantastic. I love things with a spicy kick to them and I've always heard a lot about how chocolate and chipotle are the perfect match. I'm starting a new linky on my blog called "Sweets for a Saturday," and I'd like to invite you to stop by tomorrow and link these up. These sound great! I've tried chocolate and chili together once before and wasu surprised at how much the chili intensifies that chocoalte flavor. Slap a scoop of ice cream on this and I would be in heaven! I love hot + sweet! Those jalapeno chocolates at the burrito place sound awesome. But even better are your chipotle brownies. And with cinnamon for that perfect kick with the sizzle. Not being a bacon fan, bacon will never be on my dessert table!! Liv tried it last year at the fair covered in chocolate and was in favor. Not me! The chili though is a different deal! Yep, I am all over that one! Love the chipotle with the chocolate. I'm sure to be a fan of these! Just yummy!!! That really is all I can say! Thanks! OMG..I love it! What an amazing photos, and the second one…I am stunned. Great recipe too! Oh! I can't wait to feel the burn! Chipotle IS made for chocolate! I couldn't get enough of the combo when I was in Mexico! These brownies bring me right back to that trip! Chocolate and chili have coexisted for centuries, the Mayans used to sprinkle chili powder on mugs of hot, melted cacao. I've used these ingredients together in cookies and they were a big hit! Looks like the trend is here to stay, and your wonderful brownies have certainly reinforced that. 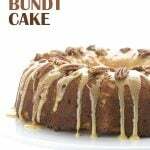 I developed a chocolate-chili cake for a tex-mex restaurant about 10 years ago – it absolutely flopped with the customers! No one would even consider eating a cake with chili peppers in it! These brownies look killer, I am dying over the super-dark color! Chocolate alone usually doesn't really do it for me, but by spicing it up with some chili (pun oh so intended)…I could become addicted to it. These look delicious! I have never thought of chipotle that way….now you have me thinking I should! They do look delicious and I am intrigued by the flavors! I adore spicy chocolate. I know I would love these brownies! I don't think I have ever used chipotle powder though. I am so with you on bacon in chocolate. If I ate meat it would certainly not be one of things I indulged in, however, sea salt and chocolate and chili and chocolate are two things I am 100% in love with! Those brownies look so moist and flavorful, I bet the chipotle sends them over the top. Hi Carolyn, I have little blog award at my blog for you! I love the chipotle hidden in the chocolate. And I love a cakey brownie, so these look like they were made for me! Cinnamon and chipotle, what a great mix of flavors, very unique! Holy mole – chili and chocolate! My Mayan ancestors would be proud. These looks fantastic! holy jalapeno! these sound delish. i saved it immediately to my online cookbook (cookmarked.com). i'm gona try to veganize them. 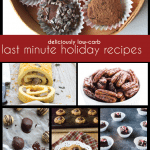 Love chipotle, love chocolate, love this recipe! I love this recipe, because of the use of almond flour, and chipotle. This is unique, and beautiful! 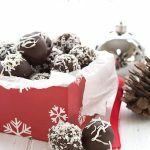 I’ve made these twice and love them- this is one of my favorite chocolate recipes! The second time, I noticed that cornstarch is listed in ingredients but not used in the recipe. I omitted it, but I’m wondering what purpose it serves and how it affects the final product? Mine turned out dry. I’ll try again with more butter next time. I used potato fiber as I didn’t have corn starch. That could be the reason. The taste was very good. I just stuck these in the oven!! Here’s to hoping they turn out after some substitutions. I am low on butter and out of cream, so I used coconut oil and coconut cream. Also, I am out of cocoa powder, so I melted a bar of lily’s blood orange, making sure not to have too much liquid, I reduced the amount of coconut oil. They should be delicious, but we’ll see. They turned out delicious and cakey, just like I hoped. I forgot to mention that I used stevia. Low low carb perfection.